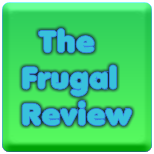 FRUGAL REVIEW: Samples, Sweepstakes and Freebies! Chick-fil-A Cow Appreciation Day - Free Entree on Tuesday! FREE Celebrate Urban Birds Kit with Sunflower Seed Packet! Nutella - $1.50 Off Coupon, Mini Cups for as Low as $1.78! Free Samples, Sweeps and Freebies!